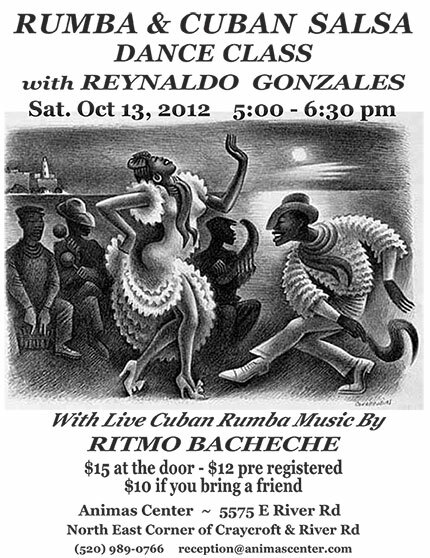 Recommended by Gerardo, especially for those involved in Ritmos Latinos. 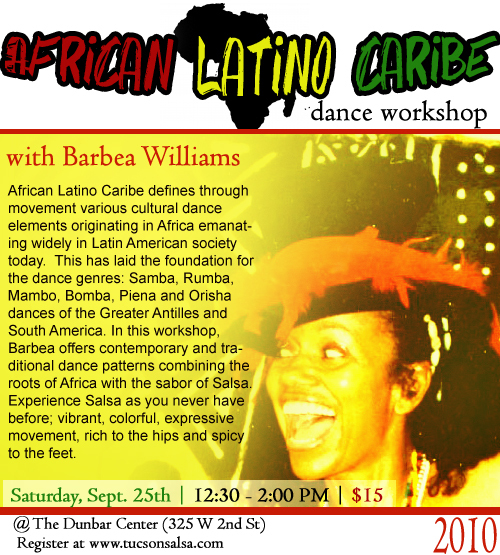 It will allow you to understand the historical, musical and dance connections between rueda do casino and other, very important, earlier forms of Cuban dance. 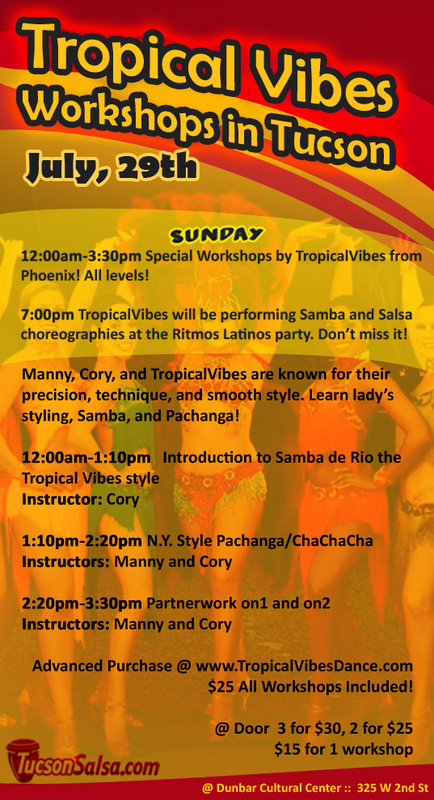 The essential steps of Cuban Salsa are broken down slowly and put together in a simple routine, with referrence to Rumba, Son, Mambo and Cha-Cha-Cha. A great introduction for beginners and up! 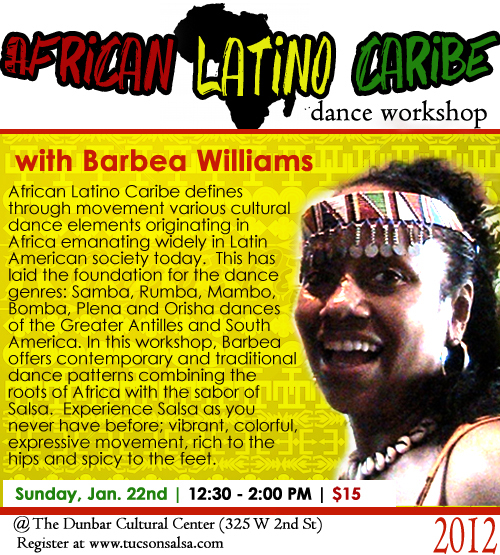 This very funky and playful Afro-Cuban dance is not to be confused with ballroom rumba. Mimicing the movements of chicken and hen, couples interact in a flirtatious game of chase. 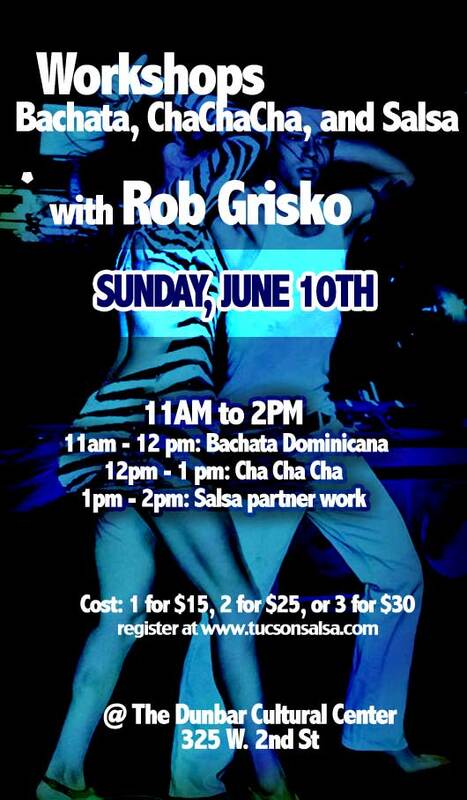 A great workout and source for styling your salsa. 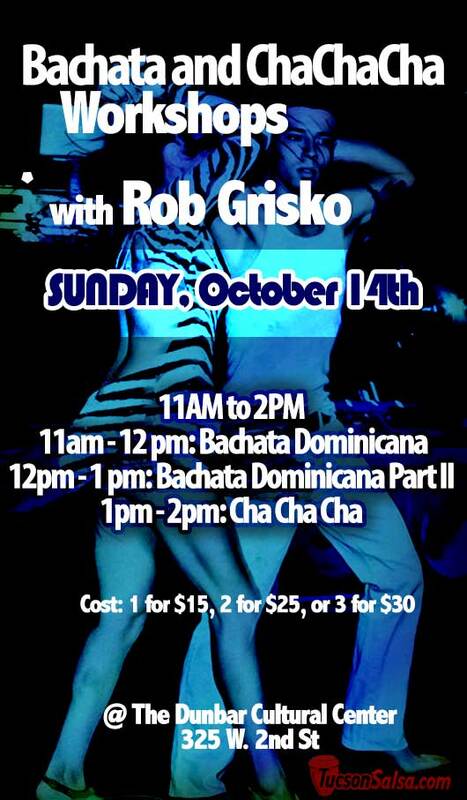 Urban Bachata Workshops: Featuring Alejandro Rey! 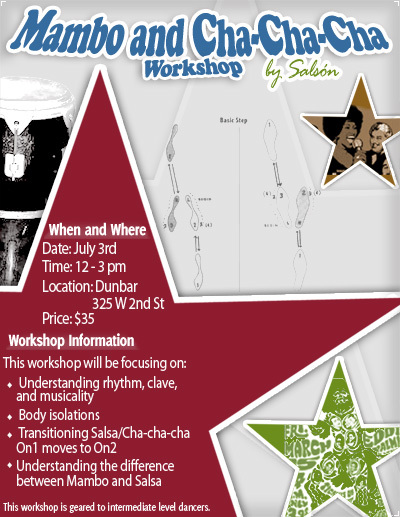 Please join us this Saturday, July 3rd for this unique workshop covering Mambo and Cha-cha-cha open footwork and turn patterns. 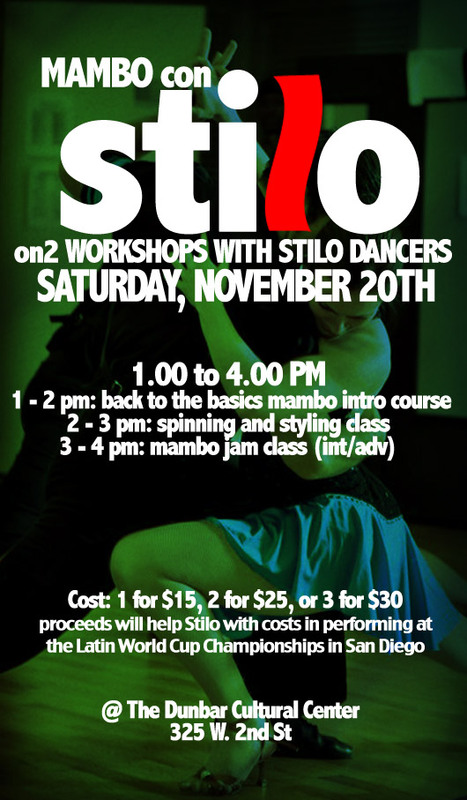 This workshop will be taught by Gerardo and Lupita.